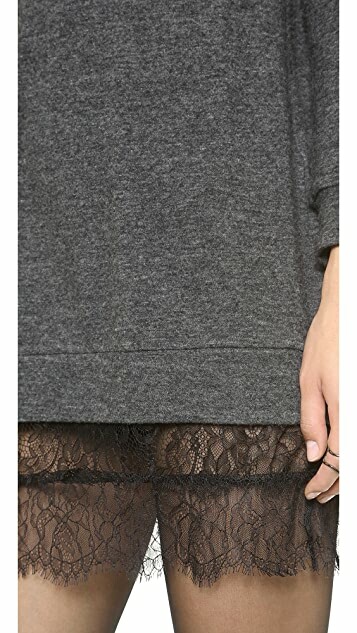 A sheer lace hem brings a touch of romance to this Clu sweater dress. Scoop neckline. Long sleeves. Unlined. Shell: 75% wool/20% nylon/5% cashmere.